We’ve scheduled three inspirational keynotes, six compelling case studies and panels, and consultations with social media experts so you'll leave with what you need to analyze – and solve – social media problems you face today. We’re capping attendance at 125 members and have designed the day to maximize time and space for conversation, collaboration, and relationship building. Two hotels are offering discounts until April 24 or when the group block is sold out. Hilton Garden Inn (starting at $139 a night) and DoubleTree Hotel (starting at $159 a night). You may want to join us on May 16 for our revamped Social Media Residency, too. Read about that here. Social media is so much more than another marketing technique. Any organization that appreciates and engages in social media is forever changed for the better -- to become more open, honest, transparent, and kind. Andy Sernovitz teaches word-of-mouth marketing and social media. 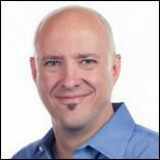 He's the New York Times bestselling author of Word of Mouth Marketing: How Smart Companies Get People Talking. 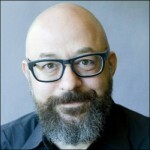 He leads SocialMedia.org, the community for social media leaders at the world's greatest brands, and WordofMouth.org, for marketers and entrepreneurs. Andy taught at Northwestern University and Wharton School of Business, ran a business incubator, and started half a dozen companies. He created the Word of Mouth Marketing Association and the Association for Interactive Marketing. His blog is called "Damn, I Wish I'd Thought of That!" Discuss your social media challenges with a group of your peers. With Facebook reach diminishing and social clutter mounting, it's important to explore new ways of delivering your brand’s message on Facebook and beyond. An employee advocacy program can increase results from your social media channel while empowering participants, enhancing their sense of belonging and being in the know. Erik Bergstrom is the eBusiness Manager for Dental Associates, a Wisconsin-based group dental practice with 14 dental centers and 90 dentists. With 17 years of experience in internet marketing and content development, Erik has taken what he learned from the publishing industry to uncover a significant new source of patient growth in the health care industry. It's no secret that patients ask Dr. Google before talking to someone with real knowledge. At the same time, they will search the name of their clinician, health network, and other providers to "get the goss"... What do you want them to find? This session will explore best practice for managing reputation as it sprawls across the web in places you control and places you can't. Hugh Stephens is a failed medical student turned professional communicator and marketer. 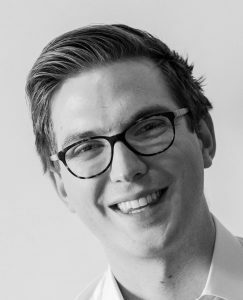 He has worked on reputation management for clients ranging from individual clinicians through to government departments. Hugh consults to companies and government through Dialogue Social. You can troll him on Twitter @hughstephens. Hilary A. Joachim, M.A.N., R.N., and Amber M. Stitz, APRN, CNS, M.S. As a Destination Medical Center, patients travel from around the globe to receive orthopedic care at Mayo Clinic. Early education and surgical preparedness are essential to ensure the best patient outcomes. Through the development of a self-paced online program, we provide customizable education so patients can focus on content meeting individual needs and learning styles. We blend patient education with today’s technology to reduce preoperative anxiety, ensure better-quality outcomes, and improve patient satisfaction. Hilary A. Joachim, M.A.N., R.N. is a Nursing Quality Specialist in the Department of Nursing at Mayo Clinic. Her clinical experience includes being a staff RN in the Orthopedics Inpatient Unit. Hilary has participated in the Nursing Leadership Perspectives Program, received the Department of Nursing Individual Achievement Award, and received the Connect Design Enable (CoDE) Funding Award. 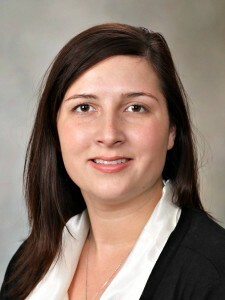 Amber Stitz, MS, APRN, ACNS-BC, OCNS-C, is a Certified Clinical Nurse Specialist in the Department of Nursing supporting the Department of Orthopedic Surgery at Mayo Clinic. Her clinical experience includes general orthopedics, ortho oncology, and geriatric fracture and osteoporosis management. Amber has presented nationally and internationally on nursing practice, orthopedics, and quality. She is an Instructor on Nursing in Mayo Clinic College of Medicine and recently received the Connect Design Enable (CoDE) Innovation Award. Haters aren't our problem... ignoring them is. In this eye-opening and entertaining presentation, New York Times best-selling author Jay Baer reveals brand-new, proprietary research into why and where your customers complain. If it feels like there are more complaints than ever, and that you’re spending more time and money dealing with negativity and backlash, you’re right. But the rise of customer complaints is actually an enormous opportunity. Find out why you need to hug your haters and embrace complaints. Jay Baer will teach you how to keep your patients and grow your market. Jay Baer is the world’s most retweeted person among digital marketers. He is a renowned business strategist, keynote speaker, and the New York Times best-selling author of five books who travels the world helping businesspeople get and keep more customers. Are you trying to manage social media with a small team — or even by yourself? Wondering how to get everything done while keeping up with new trends? Other tough questions on your mind? Our panel of experts will field your toughest questions, so come prepared to ask them -- and to weigh in with your perspective when you hear questions in your domain of experience and expertise. 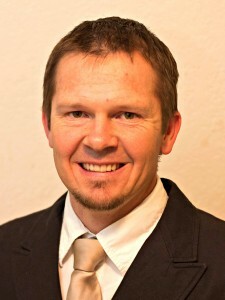 Benjamin Forstie is a Social Media Analyst for Northern Arizona Healthcare in Flagstaff, Arizona. His professional expertise includes social media strategy, reputation management and digital marketing. Ben revamped NAH’s social media presence while creating and implementing new online marketing strategies. He was also instrumental in establishing NAH as one healthcare system brand, rather than a conglomerate of practices. 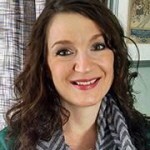 Carol Vassar is Social Media Strategist for Hartford HealthCare (HHC). She joined the HHC team in 2012 as a marketing manager, and has previous experience at the American Red Cross and the Connecticut Department of Public Health. 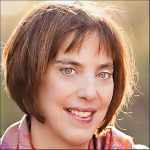 A former radio reporter, Carol holds a Masters Degree in Interactive Communications from Quinnipiac University. Susan Woolner is the Neuroscience Patient Support and Community Manager for Mercy Health Hauenstein Neurosciences in Grand Rapids, MI. She is a one person department that plans, creates, communicates and tracks print, online, digital and social media for 16 neuroscience programs including patient and caregiver education and support programming. 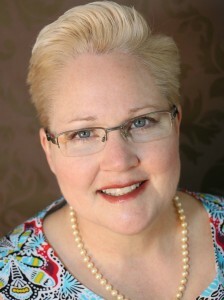 Susan has 30 years’ experience in marketing communications from both the agency and the client side. Small group sessions with social media experts including Mayo Clinic staff, MCSMN Platinum Fellows, and members of our External Advisory Board. You pick the expert for the counsel you need. “I don’t know what to say.” “I don’t know how to make the right connections.” “I don’t have time.” Sound familiar? Join W2O Group’s Greg Matthews as he presents his three-part model for Online Activation – READ, CONNECT and SHARE. This session is based on his guidebook, Online Activation for Hospital Executives and has been used to successfully train hundreds of health care practitioners and healthcare leaders. Each participant will also receive a free copy of the guidebook, which features a 21-day plan to create a meaningful online presence in only 15 minutes per day. Greg Matthews is the Creator of MDigitalLife and a managing director at the W2O Group where he provides strategic counsel to dozens hospital systems, health insurers, pharma/biotech manufacturers, medical device companies, health IT companies, and consumer health companies. He also works extensively with physicians, helping them activate online networks safely, responsibly, and effectively. This case study presents Mayo Clinic’s online community, Mayo Clinic Connect – then and now. Colleen will showcase strategic community management practices, such as how to encourage discussion to build relationships and develop mentors who build community wisdom. Cindy will outline how Connect came to be and the importance of internal support and contributions. Learn about the benefits of slow growth, high activity and proven techniques that ensure the sustained success of an online patient community. Colleen Young, Community Director, Mayo Clinic Connect, is internationally recognized for her expertise in building online health communities that thrive. In 2012, Colleen was awarded the Journal of Medical Internet Research Award at the Medicine 2.0 Congress at Harvard University for her leadership in developing best practices for building online communities. She frequently speaks and writes about the impact of social web in health and health care, including presenting at Stanford Medicine X 2014 and 2015. 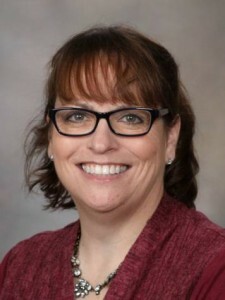 Cindy Elliott joined Mayo Clinic in 2008. As a Marketing Specialist, her digital focus has spanned a wide range from ecommerce to email marketing to social media. 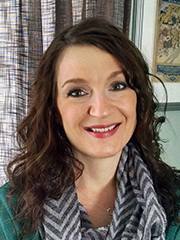 An early adopter to building brand-consumer relationships, Cindy initiated The Mayo Clinic Diet Facebook page. Today, Cindy works to advance Mayo Clinic's paid and organic social media strategies, as well as collaborating on internal marketing for Mayo Clinic Connect. How do you mobilize a team of academic physicians to embrace social media to expand the influence of their department? Vanderbilt Radiology did it with a clear objective and expectations, a safe environment for learning, optimizing doctors’ competitive nature, and leadership by example. Within months, many faculty and residents became active on Twitter and the team expanded to Periscope and Instagram. Impact on academics has been profound, with several research studies under way. 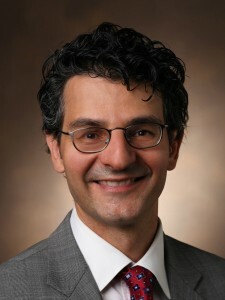 Reed Omary, M.D., became Chair of Radiology at Vanderbilt University Medical Center in 2012. He enjoys helping patients as an interventional radiologist, performing National Institutes of Health-funded translational research, and serving as a mentor to numerous trainees and faculty. As a clinician-scientist, he specializes in image-guided drug delivery for cancer. Dr. Omary is a graduate of the Northwestern University School of Medicine, where he completed his interventional radiology fellowship and served on the faculty from 2000-2012. He also holds a master’s degree in epidemiology from the University of Virginia. In recent years the conversation on patient experience has moved dramatically from the edges of healthcare to a critical, central point of focus. This has been driven not only by policy and a systemic shift from volume to value, but also by an increasingly powerful consumer voice in healthcare. In a similar fashion, social media has moved from a tool for personal connection (the act of connecting) to a resource for professional connectivity (the state of being connected). This move to professional connectivity has turned social media into a powerful means of defining presence, communicating intent, engaging the market, and even addressing crisis in a way that is immediate and interactive. 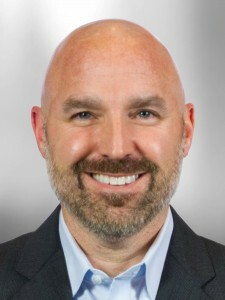 Jason Wolf, Ph.D. is a passionate champion and recognized expert on patient experience improvement, organization culture and change, and sustaining high performance in healthcare. 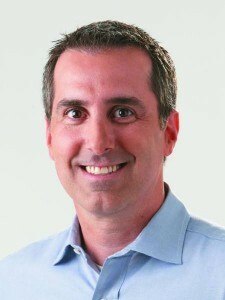 As President of The Beryl Institute, Jason has led the growth of the organization into the leading global community of practice and thought leader on improving the patient experience, engaging over 40,000 members and guests in more than 50 countries and establishing the framework for the emerging profession of patient experience. Before leading the Institute, Jason designed and led the organization change, service, and leadership development strategies with HCA, working with more than 45 facilities on improvement and change efforts. He also conducted groundbreaking research to identify the characteristics of high performance healthcare organizations. Jason is a respected author of numerous publications and academic articles on culture, organization change and performance in healthcare, including two books on Organization Development in Healthcare, and more than 25 white papers on patient experience improvement.